Think All Wine Bottle Shapes Make Sense? Thank Again. For hundreds of years, wine bottle shapes have stayed the same. Shapes for Bordeaux wine bottles have straight sides. Burgundian wine bottle shapes are wider than Bordeaux bottles and have sloping shoulders. Just to really mess with us, those tricky French made the Rhone style wines come in bottles that are almost Burgundian in shape but are actually just a little thinner and taller. Most new world wineries use the same ones for Burgundy and Rhone but the French bottles are technically different. The Champagne bottle form matches function because there is a “sh**load” of pressure in there. A different shape or thinner glass would likely result in a dangerous incident when it breaks under pressure, causing an explosion complete with shrapnel. Then there is the Champagne cork that’s moving at roughly twice the speed of sound and is guaranteed to take out an eye, hit a guy in the crotch or a woman in the chest – possibly all three at once if you subscribe to the JFK single bullet theory. The proportions and sizes of wine bottle shapes are standard because they work for bottling, they work for serving and they work for storage. Let me reemphasize that last point. The wine bottle shape works for storage. Sure, there are other wine bottle shapes from other regions. Bottles for Rhine wines are taller and thinner for instance but they tend to conform to standards that allow you to store them. But then along comes …queue the sinister music in the background…”the Marketing Department”. Why? Please…tell me why would you want to change that? Ok, maybe “Why?” isn’t the right question. Maybe, “What the hell are you thinking?”, is the right question. These oh so clever Marketers decide to throw hundreds of years of tradition out of the window and try something new because it will look unique on the shelf. Never mind that the majority of the wines that use them will only be sold at a winery or a few select restaurants so a bottle designed for display is about as useful as a kickstand on a horse. Now, lest you think this is just a rant about how the young wine whippersnappers are throwing out tradition for no reason, think again. 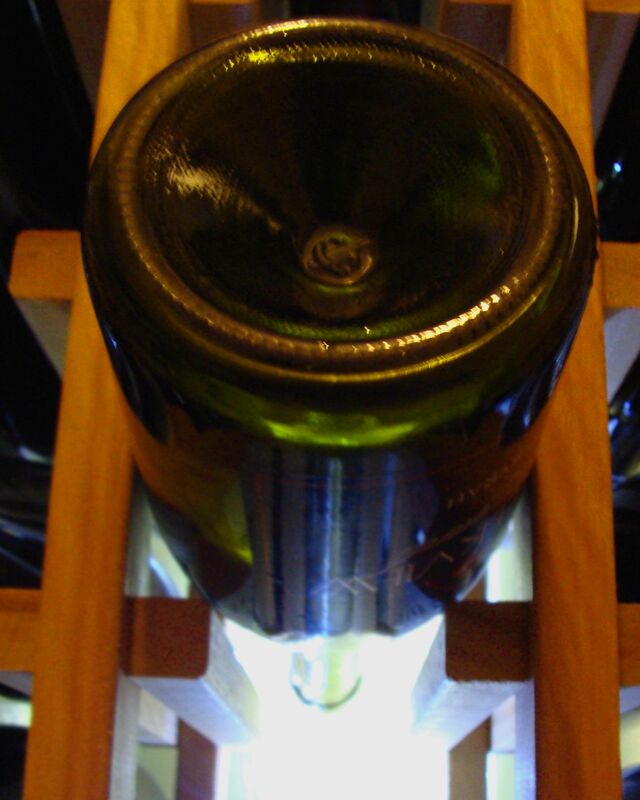 There’s a reason to keep uniform shapes in wine bottles – that little thing called storage. So why is this such a big deal? In theory, Wineries want to sell wine…lots of wine if possible, otherwise why are they in business? If they tell you it is solely for the love of wine making, keep an eye on that property because it will be up for sale in a year or two, likely at a really good price because it will be in bankruptcy. Even those that want to stay small, are in business to sell hundreds or thousands of cases of wine. That means that those of us who buy a fair amount of wine, arguably the exact audience that a boutique winery wants, have to store it and that’s the problem. We went to one of our local wineries (which shall remain nameless) and bought a couple bottles of Syrah. The wine was quite good but the bottle had such a fat bottom and narrow top that it could have stayed upright in a 8.0 magnitude earthquake while in a rocking chair on a porch during a hurricane. 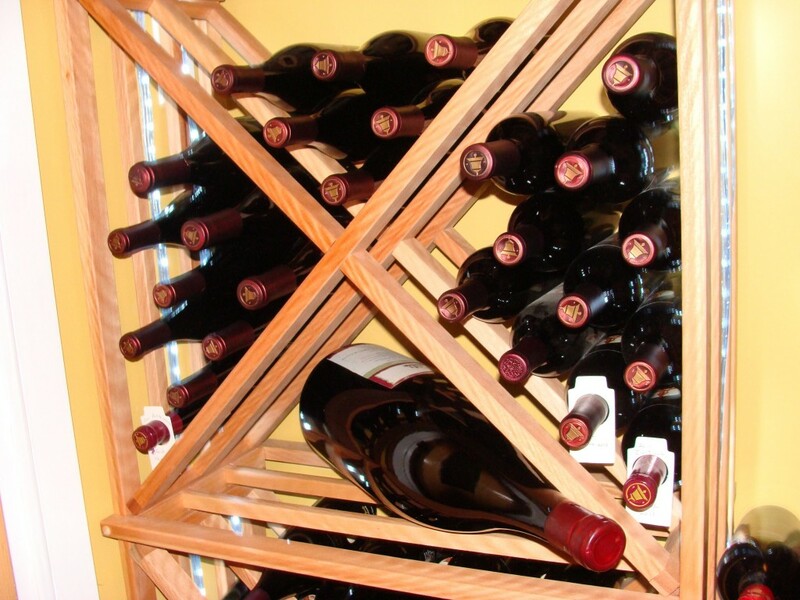 Silly us…we tried to fit the wine bottle in our standard wine rack. Well, that didn’t work out so well. OK, we’ve always got the bulk, triangular shaped holders designed to store 12 bottles. Uh..oh, that’s not any better. Only eight of this wine bottle shape will fit and that extremely fat bottom and exaggerated sloped shoulders makes for a very unstable, slippery wine bottle stack. That’s probably fine near the bottom of the rack, but if it’s four feet up and it decides do it its impression of a six year old on a slip and slide, it will hit the ground hard…really hard…as in bungee jumping without the bungee cord hard. So…the point of this rather long winded rant is, please take our advice if you are a winemaker. Forget what those creative Marketers say unless you are really trying to make your wine stand out on a shelf with hundreds of other wines. If you are selling your wine primarily at your own winery, stay with more conventional bottles if you want people to buy your wine.